eWireless Home Security vs. Wired Home Security: Which is Better for Your Family? There is an old cliché about parents not understanding or being interested in the latest technology. That might be the case with certain products—Snapchat, say—but not with smart home technology like wireless home security. · 78% of all surveyed homeowners wanted an app that could alert them and let them manage their security system remotely. · 82% wanted a security system that could notify the authorities even when internet service is down or the power goes out. Why is the idea of wireless home security so appealing? A look at the pros and cons of both wired and wireless systems could help provide an answer. · They Offer Consistent Monitoring: Since wired security systems transmit information via a landline rather than a Wi-Fi network or cell phone signal, their monitoring capabilities stay fairly consistent. However, those capabilities would fail if someone were to cut the phone line or the wiring became damaged. · They Do Not Need Batteries: Wireless home security systems typically run on batteries. When those batteries run out of juice, the systems stop working. Wired systems, on the other hand, tend not to rely on batteries. · They Cannot Be Hacked Remotely: In order to hack or disconnect a wired security system, a burglar would need direct access to it. · They Are More Expensive: Installing wired security systems usually require professional assistance. This makes them much more expensive than wireless systems. Also, they take longer to set up. · You Cannot Operate Them Remotely: A homeowner can only arm or disarm a wired system from the main control panel in their house. If someone forgot to arm it before they went to work, their home would be vulnerable to a break-in. · They Are More Vulnerable: Again, a thief would only need to cut the phone line to a home in order to disable a wired security system. · You Can Install, Move and Upgrade It Easily: Implementing a wireless system is just a question of plugging in some batteries and putting its sensors in place. Also, it is easy to move the sensors or add more if you need to do so. · You Can Access Wireless Systems Remotely: Users can arm or disarm a modern wireless security system by using a mobile app. · They Can Integrate with Smart Home Products: You can easily sync up a wireless home security system with products like a smart thermostat, smart locks and a wireless security camera system. · They Require Batteries: Many times, wireless systems run on batteries. The most advanced systems will not need new ones very often, though: Users can just put in some lithium batteries and swap them out after a few years. LiveWatch offers top-of-the-line wireless home security products to clients across the US. The company’s Plug&Protect systems provide fast, secure, reliable protection as well as home automation options. 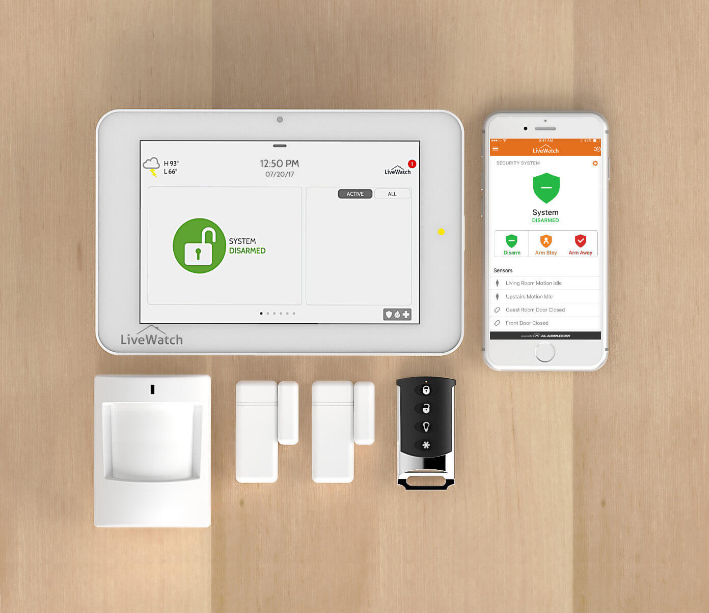 LiveWatch’s first-rate wireless home security solutions and award-winning customer service currently protect more than 200,000 clients in the United States. Only a few years ago, wireless home security and other smart home solutions might have sounded like the stuff of science fiction. However, they are rapidly becoming a part of our everyday lives. In a January 2018 article for Forbes, Tyler Shields—a VP of Marketing at web application security company Signal Sciences—stated that voice control or voice recognition will be “the breakthrough advancement that really allows [smart home] technologies to become ubiquitous.” Certainly, the increasing popularity of voice services like Siri and Alexa would suggest that there is something to Shields’ opinion. Shields also claims that voice control will become a staple of “phone, TV, home audio and even car dashboard [technologies]” by the end of 2018. Time will tell whether or not that actually happens. Still, the idea that voice recognition will become more widespread seems likely, especially since Amazon reportedly sold millions of its Echo Dot smart home device during the 2017 Christmas season. Research done by Home Advisor seem to support this idea. In a recent post for the company’s website, Smart Home Strategist Dan DiClerico discusses a survey of over 1,400 smart home professionals—including carpenters, HVAC professionals, wireless security camera system providers and others—conducted by HomeAdvisor and CEDIA (Custom Electronic Design and Installation Association). The survey found that 75% of this group reported getting more calls relating to smart home devices and installations over the course of 2017. DiClerico also noted that the smart home market currently has a good combination of products with “deep market penetration” and others with potential for growth. As the use of smart home devices becomes more widespread, issues involving security and service should arise too. People will need to know that their systems are protected against hackers and intruders. Also, the increase in service calls noted by CEDIA and HomeAdvisor makes clear the need for knowledgeable, effective professionals. 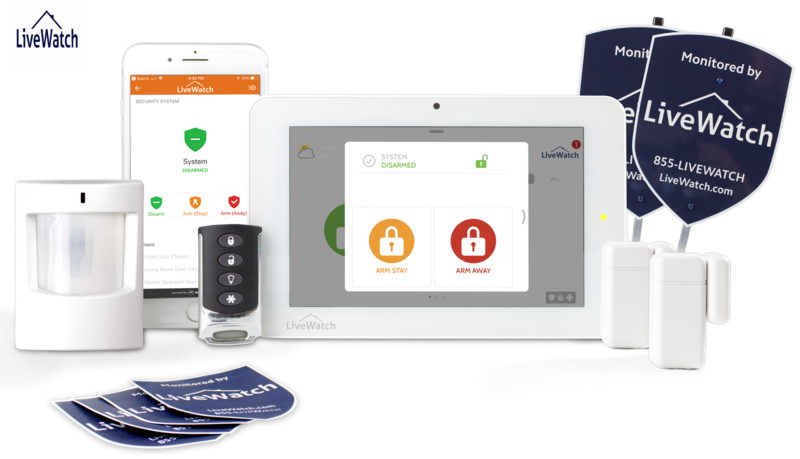 LiveWatch’s 100% secure solutions give US homeowners superior convenience and peace of mind. The company’s wireless home security plans come with its advanced alert system ASA Per along with home automation capabilities and direct access to LiveWatch’s alarm monitoring center. LiveWatch provides cost-effective, personalized wireless home security solutions to clients across the United States. The company also offers first-rate wireless camera security systems and award-winning customer service. Wireless home security systems and some careful thinking can help people protect their smart homes. And right now, homeowners need both in a big way. It is no secret that wireless technology are quickly changing how people live. With products like Alexa and Siri, what was once the stuff of science fiction movies has literally come home. Homeowners and their families can now live more conveniently and comfortably than ever before. That grim pronouncement should make clear how important it is for people to think about the security of their smart homes. This means keeping watch over smart devices as well as investing in top-quality wireless home security system. Smart home products from big brands are not unfailingly secure—just a little online digging will turn up plenty of recent stories about people hacking into major systems. However, that very publicity is a sign of why names like LG and Samsung are a better bet than startups. Because these companies are so big and attract so much attention, they have the resources and the need to resolve security problems as soon as possible. No one likes dealing with software updates on their computer, but they need to do it. The same principle applies to smart devices around the home. Some gadgets will not update automatically, so users might need to look for them on the manufacturer’s website or smartphone app. Updates may not come out that often, but they should be installed quickly when they do. Also, the settings on smart home devices should not need to be checked too often—after all, they would not be very “smart” if they did. Still, it is a good idea to go over them just to close up any security loopholes. For example, homeowners could disable a device’s internet connection if it does not really need it. Last but not least, homeowners should consider investing in a good wireless home security system and a wireless security camera system. The best systems use powerful encryption to prevent hackers from accessing them. They can also allow people to see activity in their home at any time and send alerts within seconds. LiveWatch offers some of the best wireless home security systems on the market. The company’s innovative solutions and award-winning customer center help over 200,000 US customers protect their homes. LiveWatch provides clients with powerful, affordable wireless home security solutions. Customers can also purchase a first-rate wireless camera security system and get help from the company’s acclaimed customer service center. LiveWatch’s Plug & Protect wireless home security systems US customers protect their homes. They come with 24/7 professional monitoring, mobile alerts and much more. Our security systems can keep you and your loved ones safe from burglaries, carbon monoxide and other potential threats. For almost every American, home security is a serious matter. As the old saying goes, a person’s home is their castle. With technological advancements like the latest wireless home security systems, people have the power to protect their “castles” better than ever before. When most people think of burglaries, they probably think of thieves slipping in through a window or the back door in the middle of the night. In actuality, more burglaries in the United States occur during the day. In 2016, the Federal Bureau of Investigation reported that 1,053,559 burglaries occurred at US residences. Out of those, 543,461 took place during the day while 311,536 happened at night (the rest were unknown). In other words, about 57% more home burglaries took place while the sun was shining. Why do so many more burglaries occur during the day? The answer is simple: Most people are off at school or at work. The biggest window for home burglaries is between 10 AM and 3 PM. 1. Burglars can watch homeowners easier: If a criminal (or a potential criminal) lives near a particular residence, they can watch happens there easier. They can detect when people are away during the day or off on vacation. 2. Many burglaries are crimes of impulse or convenience: According to a 2012 study by UNC Charlotte’s Department of Criminal Justice and Criminology, only 12% of 422 randomly selected, convicted burglars planned their crime in advance (over 65% percent of those took only 1-3 days to do so). Conversely, 41% seemed to commit burglaries impulsively (i.e. they were “spur of the moment” events). With facts and figures like these in mind, the need for a reliable wireless security camera system becomes clear. In fact, the same 2012 UNC Charlotte study found that approximately 60% of the selected burglars avoided houses with alarm systems. Modern wireless home security systems can give people peace of mind without straining their savings. A few motion sensors and cameras placed at key points around a home can allow people to spot problems right away. Wireless systems are much harder to circumvent, since they do not have any cables for intruders to cut. LiveWatch provides consumers with sophisticated, affordable, wireless home security systems. The company’s alert system, ASAPer, can notify users on their smartphone within seconds of an alarm going off. If an alert does not receive a response, LiveWatch’s monitoring center will contact the police on a client’s behalf. LiveWatch offers innovative, efficient wireless home security solutions. Its team takes pride in providing award-winning customer service and the most affordable, robust, easy-to-use and reliable wireless security camera systems. LiveWatch’s wireless camera security systems give customers industry-leading protection against burglars and other threats. They give you up to 50 feet of sharp, detailed video coverage. You can view cloud-based footage at any time and without worrying about CCTV or DVR systems. Quite a few homeowners do not get serious about security until something bad happens. Someone breaks in, something gets stolen, a fire starts—incidents like these make all too clear that people and their homes need protection. 1. They provide up-to-date, reliable protection. Older security systems may have vulnerabilities that leave homes and property exposed. Modern wireless systems, on the other hand, give users customization options; their sophisticated technology can be tailored to a customer’s specific requirements. People can add or move sensors as needed. 2. Users can get alerts on their phones. Regardless of where they are, homeowners can be notified as soon as an alarm is triggered. Within seconds of a sensor going off, an advanced wireless camera security system can send an alert via text, email or voice call. 3. Wireless security systems protect against natural disasters. Keeping the home safe means more than watching out for burglars. It also involves knowing what to do in the event of a fire, a flood or some other dangerous occurrence. Wireless home security systems can also include items like smoke and flood detectors, which help people stay vigilant against disasters. 4. People can activate wireless home security systems remotely. Even the most powerful security system in the world is useless if someone gives a thief an easy way to get inside. Thankfully, modern home security systems help keep this from happening. For example, suppose that someone forgets to turn on their security system before heading off to work. With a modern wireless system, that person can arm it by using an app on their smartphone. 5. Wireless systems allow for greater home automation. 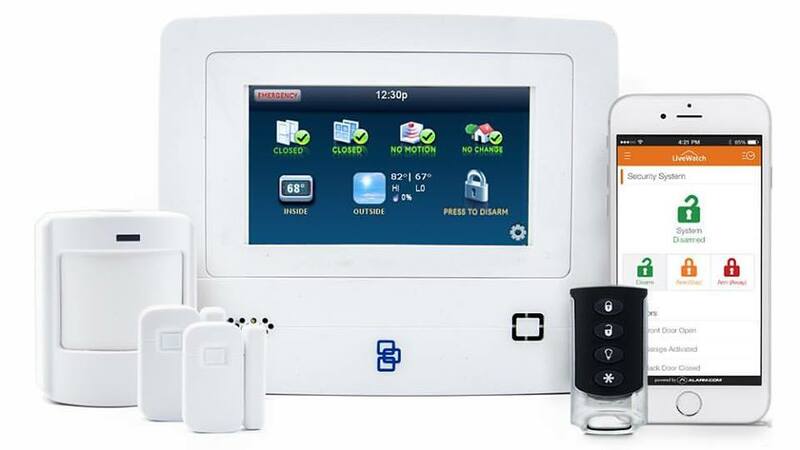 Wireless security systems work well with other home automation systems. Customers can make their lives both safer and more convenient. 6. Wireless systems are much harder for burglars to circumvent. Wireless camera security systems can give people reliable consistent protection for their homes. They do not have cables or wires which a thief might disconnect. Not only that, homeowners do not need to worry as much about power outages or weather-related damage. 7. Wireless connections are child-proof and pet-proof. Anyone with kids or pets knows that they can wreak havoc on a home’s systems and appliances. With a wireless home security system, people can keep their two- and four-legged loved ones from hurting themselves or putting homes at risk. 8. Users can keep watch 24/7. A wireless security camera system can give homeowners 24/7 streaming footage. They can check what is happening at their houses at any time and from almost anywhere. LiveWatch’s wireless home security systems give users complete peace of mind. The company’s solutions are user-friendly, affordable, customizable and reliable. LiveWatch keeps customers safe with its innovative wireless security camera system. The company prides itself on delivering devices that are affordable, easy to install, convenient and durable home security solutions. Until recently, home automation—also called “smart home”—was simply a technological fantasy in the minds of scientists and film screen writers. Widespread and ongoing development of wireless technology has made total home automation a reality for millions of homeowners across the country. Home automation enables owners to conveniently control all security activities in and around a property with a smartphone. This (literally) places all power in the hands of the owner—from pre-programming settings and adding lighting and HVAC systems to recording capabilities and storage options. Minimize Worrying: While homeowners are at work or a movie or away for any other reason, they often worry about the security of their home and its contents. If they live in a higher-crime neighborhood, their driveway is not well lit or the front lock is not functioning properly, this can lead to stress and even paranoia. With smart home, an owner can monitor the status of the home security system by watching live video on any smart phone—at any time of day or night and from any spot in the world. Viewing Capabilities: Research shows that over 70% of married American households include spouses who both work outside the home. This means a vast majority of U.S. homes are empty during daytime hours. When they cannot be physically present at home, owners need to know whether their kids arrived safely from school, the housekeeper or dog-walker remembered to lock the door, an important package was delivered and other concerns. With home automation, cameras can be installed anywhere and real-time activity monitored at any time. Remote Access: A homeowner can remotely lock and unlock a building from anywhere, whether lying in bed or vacationing on the other side of the world. Some where far. She or he can adjust the interior temperature whether in the backyard hot tub or hiking Machu Picchu. Sprinklers can be controlled from the dining room or a cruise down the Danube River. Resource Conservation: Lighting, heating and air conditioning systems, sprinkler systems and even appliances can be operated with a home automation program. Lights can be dimmed, thermostats adjusted and sprinklers and appliances turned off when not needed. This reduces consumption of electricity and, therefore, costs associated with this energy source. Some companies specialize in home automation and help homeowners understand these and other practical applications. Of these, LiveWatch is among the most trusted and experienced. 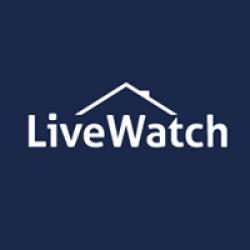 LiveWatch was founded nearly 15 years ago and is currently protects more than 200,000 U.S. households with some of the finest home automation systems available anywhere. LiveWatch offers innovative home security solutions including its wireless security camera system. It prides itself on providing homeowners across the country with devices that are affordable, easy to install, convenient and durable. Ensure your home stays safe and secure while keeping your mind at rest by installing a wireless home security system. LiveWatch Security is a leading online store offering a wide range of home security products at very competitive prices. Having a home security system means increased safety for both your family and your home. Installing a home alarm may be an effective deterrent against burglary. LiveWatch Security is a premier home security solution provider offering a wide range of wireless home security systems including video surveillance and more at very competitive prices. Home is the last place any person should have to worry about their own safety. Having a wireless home security system can provide even more peace of mind by notifying you, and the authorities, of any potential threats or dangers to you or your family. LiveWatch Security offers advanced home security & monitoring equipment that allows you watch over your home when you are away.